Join us this summer for a fun, educational week of horsemanship – perfect for kids of all ages. 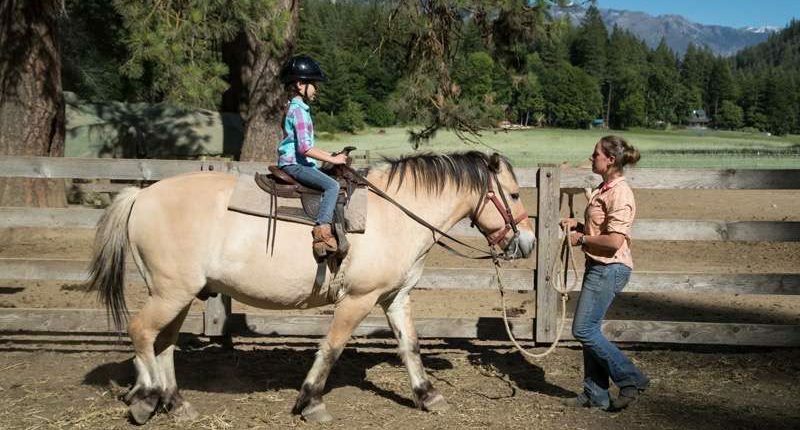 The experienced wranglers from Stehekin Outfitters will be providing awesome training and fun activities with the horses. Meanwhile, the rest of the family can enjoy some free time staying at Stehekin Valley Ranch and taking in all that the Stehekin Valley has to offer. Inclusive rates cover the camp activities for the kids, lodging for kids and parents, all meals, and in-valley transportation. Full details can be found on the Stehekin Outfitters website. Click here to learn more! Please note: You will not be able to use our online reservation system to make a booking for this camp. Please contact our reservation office directly to reserve your spot. Lady of the Lake – SOLD! Spring Fling Specials!